Cochran has been providing lawn maintenance Clemson homeowners and business owners can trust. We have been doing it professionally for over a decade. With a degree in Horticulture from Clemson University, Todd Cochran has turned his lawn maintenance services into a science and a profession. Advancements in lawn care products have made lawn maintenance a little more complicated because of the variety of choices. Good news though, Cochran aims to provide the best lawn maintenance Clemson has to offer. Advanced lawn maintenance techniques can give you an absolutely beautiful landscape and make your life easier. Call Cochran Landscape Management, Inc and we can discuss what we can do for you to provide you with the best lawn maintenance Clemson can offer. We provide one of the best full service lawn maintenance programs in Clemson, and we want to make it work for you. Our most popular services for lawn maintenance in Clemson are listed below. These are just a list of our most popular services, if you have something slightly different in mind just give us a call and we’ll be happy to talk about what we can do for you! – Mowing: different types of grass should be mowed at different heights for best results. For Bermuda grass, between 3/4″ and 1.5″. – Fertilizing: There are a multitude of fertilizer options for Clemson lawn maintenance, we’ll find the best fit for your lawn. – Irrigation: We install and maintain sprinkler systems of all sorts in Clemson, SC. – Weed Control: We have a multitude of techniques for dealing with weeds dependent on the species. – Leaf Removal: Our beautiful Clemson trees can create quite the mess in the fall. 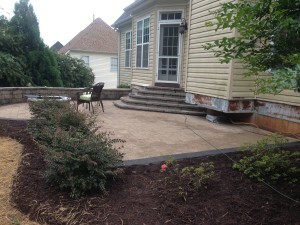 Call us to clean up your yard and prepare your landscape for the spring. Click the link to view all of our landscaping services that we offer in Clemson. If you don’t see a service that you are interested in, please call us, chances are we can perform the service you’re looking for. For a great resource on landscaping and lawn maintenance check out this link.